If you’re looking for a new dessert to make this Valentine’s Day, look no further. 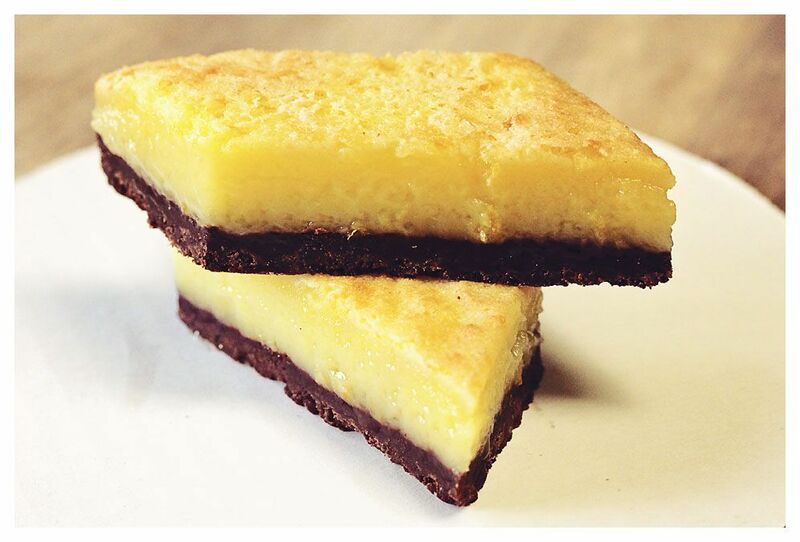 Paragary Bakery’s Pasty Chef Laurel Melchor Sanders has created the ultimate combination of tart, creamy lemon filling and rich, fudge-like chocolate that’s bound to please anyone with a sweet tooth: Meyer Lemon Cocoa Bars. Preheat oven to 350°F. Spray the pan generously with non-stick spray. To make the crust: Melt the butter in a medium saucepan over medium heat. Remove from the heat and stir in the sugar, vanilla, and salt. Add the flour and cocoa powder and mix just until incorporated. Press the dough evenly over the bottom of the pan. Bake for 25 minutes. To make topping: While the crust is baking, whisk together the sugar and flour in a medium bowl until no lumps remain. Whisk in the eggs. Stir in the lemon zest and lemon juice. When the crust is ready, turn the oven down to 325°F and slide the rack out without removing the pan. Carefully pour the filling over the hot crust. Bake for 25-30 minutes, or until the topping is gently puffed at the edges and no longer jiggles in the center when the pan is tapped. Set on a rack to cool completely in the pan. When the bars are cool they can be carefully turned out to cut, or simply cut in the pan.